Homes and businesses had to be evacuated while dozens of firefighters battled to get a city centre restaurant fire under control. The blaze took hold at Fresh Mex, a Mexican eatery, on Schoolhill, Aberdeen just before 10am yesterday. About 30 firefighters rushed to the scene as plumes of black smoke billowed out from the building, which could be seen for miles around. 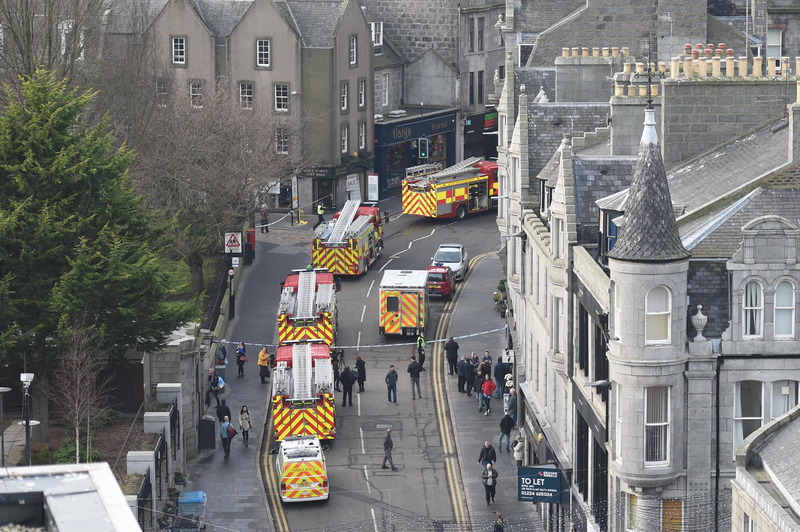 The street was sealed off between Back Wynd and Belmont Street and neighbouring businesses and flats above had to be evacuated. Six appliances arrived on the street as people gathered to watch the dramatic scenes unfold. Firefighters battled to get the blaze under control. Irvine Barber, who lives in the flat above the restaurant, fled his home when he saw the black clouds pouring out of the building from his window. However, other people living in the neighbouring properties were unaware of what was happening below until they heard firefighters knocking on the door. 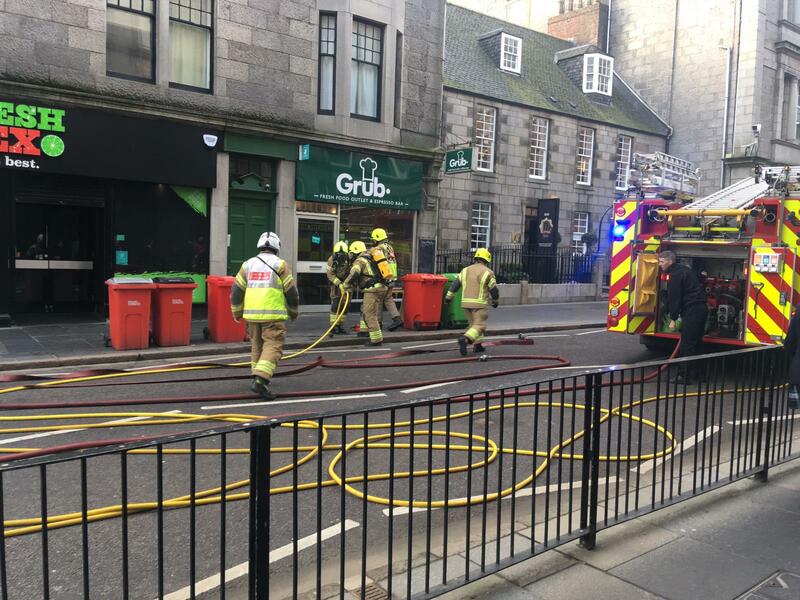 Another woman, who was working in the neighbouring Grub Fresh Food and did not want to be named, said she was alerted to the fire by a customer and quickly left the shop. Fresh Mex employees were gathered outside Robert Gordon’s College across the road watching the firefighters tackle the blaze, which they managed to contain within the one building. Two staff members, who did not want to be named, said they had no idea how the fire had started and said “it all happened so fast”. The cordon remained in place for about an hour before it was eventually moved to just in front of the restaurant.